Need to make an adult birthday display at a party? I wanted to share it a couple of examples with you visually so you can make decisions about what to do for your own birthday celebration ideas! Recently, our friend Jimmy celebrated his 50th birthday. 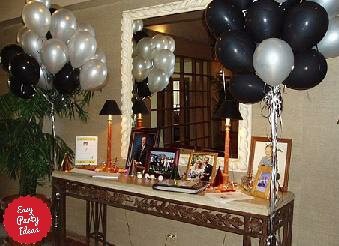 Pamela (Jimmy's wife) threw him a great 50th Birthday party, complete with a buffet, dancing, and a DJ! a guest book, so guests could record their wishes for Jimmy. Several folks wrote some pretty silly stuff such as a funny 50th birthday poem and 50th birthday jokes. This will be a great memento of the 50th birthday celebrations. Create a hashtag or filter for the party, or a find a way for everyone there to share their photos, that way you'll end up with some great shots, but they are all from the unique viewpoints of each person who is taking them. A great way to make special adult birthday parties even better! Another alternative is to ask each guest to send you ahead of time a story about the person. It can be any sort of remembrance, funny or not. If you bind these into a scrapbook you can have a great collection of memories that is really treasured. 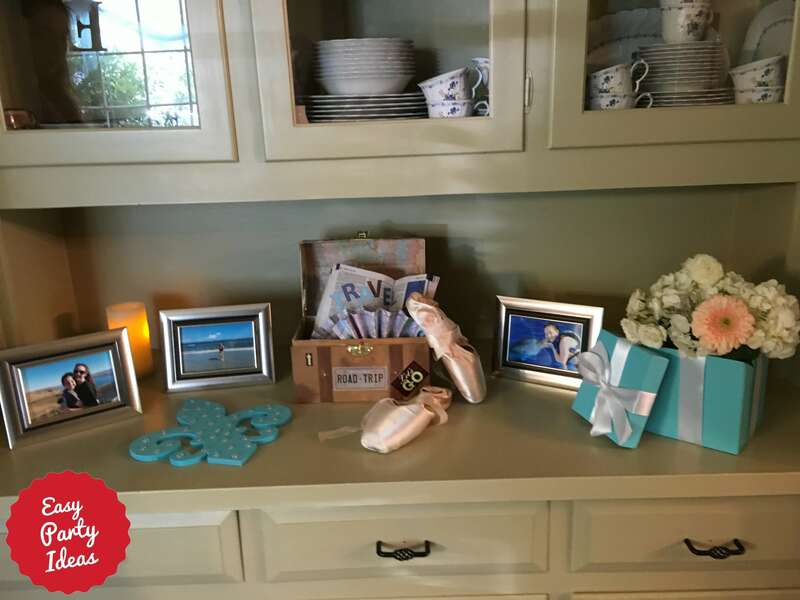 By having the thoughts submitted ahead of time, you can put it together to be one of the items included in your adult birthday display. I have done this twice, once for my in-law's golden 50th anniversary party, and also for my own father's 70th birthday party. Sometimes the contributions are just a sentence or two, something like "I remember when you were a little boy, you were great at playing marbles." But they are all special and a gift like this is priceless.You could use these birthday ideas with any adult party. Happy 50th Birthday Jimmy! Great job Pamela!